Looking for a vacation where you can talk all you want about your cat and no one thinks your crazy? 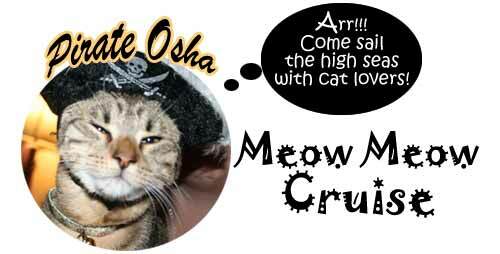 Then Meow Meow Cruise may be your dream holiday! 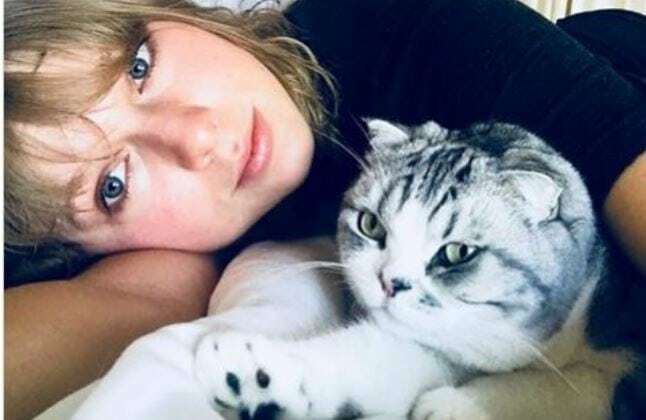 While Taylor snuggles with Meredith, both her cats are celebrities in their own right. Look for them on a t-shirt worn by Ryan Reynolds’ in Deadpool 2. Some things are worth waiting for. 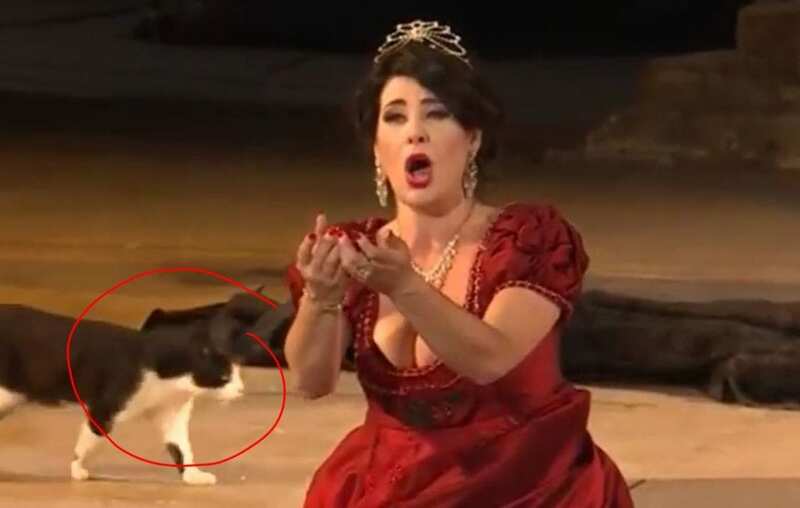 Like your operatic debut. In the middle of someone else’s aria. Break-up? No worries. 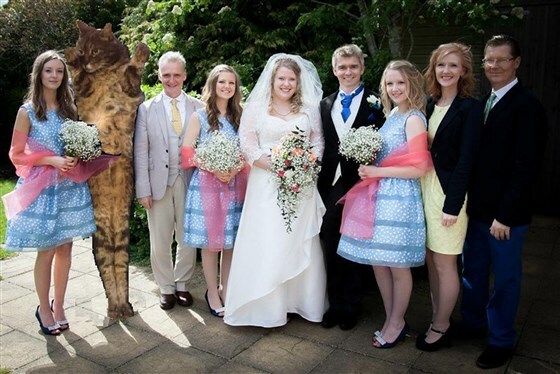 Do like Chloe’s sister Emily did and replace the “ex” in all family photos with your cat. 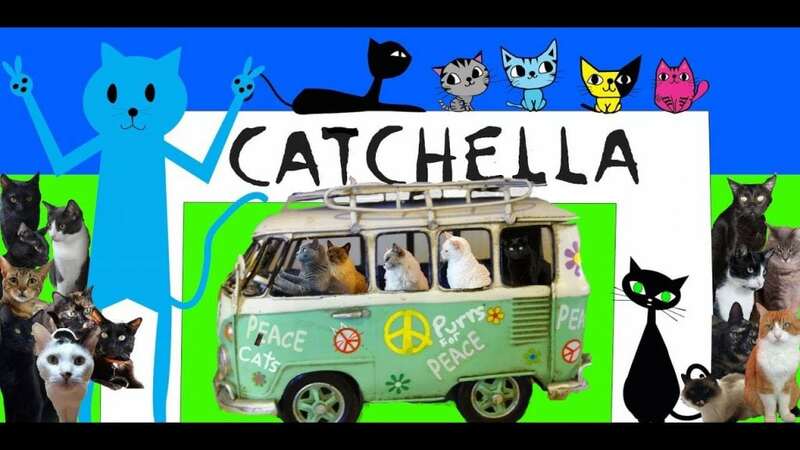 The Furball Cats are bored one day and try some catnip fish which takes them on a ravin’ cat trip in their hipster VW Van Peace to Catchella Music Festival. 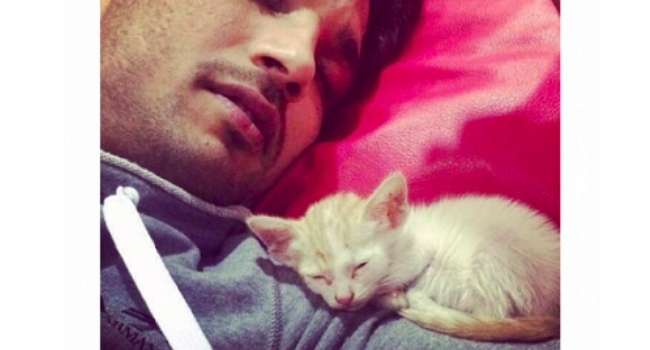 Bollywood actor Sushant Singh Rajput’s photo taken while napping with a kitten snuggled on his shoulder has stolen hearts. 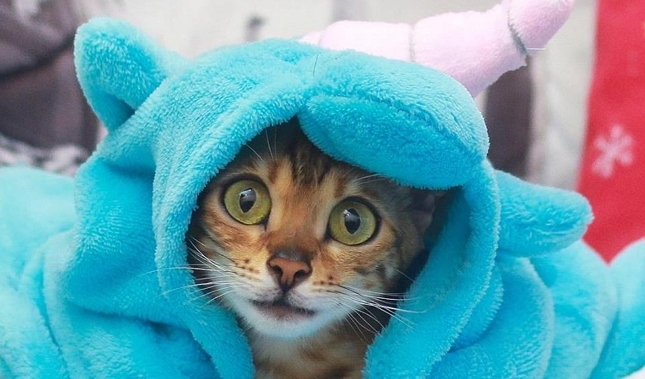 “Herding cats,” was the phrase that seemed ridiculously appropriate in reference to the video. Afterall, the cats were just doing what they do best. Being cats. Check out the compilation of this kitten who doesn’t shy away from the camera, whether digital or video, demonstrating poise and appeal, among her many talents. Olive was placed in a freezer, squeezed, then tossed off a second-story balcony. Beth Stern, touched by her story, simply had to foster the 3-month-old kitten. 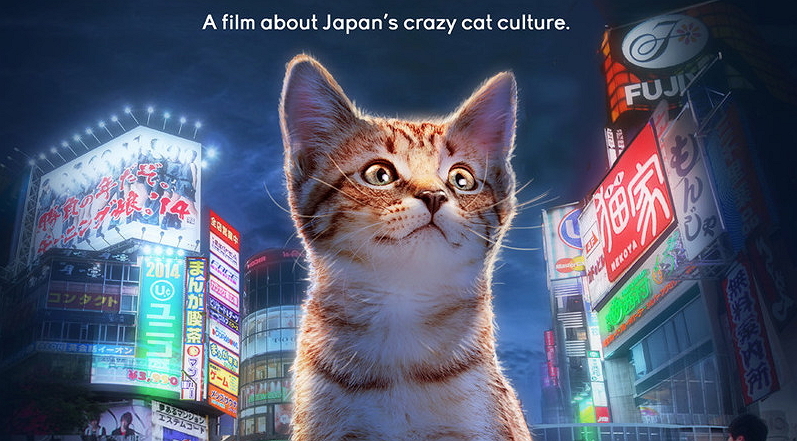 Kickstarter funded in under 48 hours, the film ventures into the world of cat cafes, cat-scented products, and cats working alongside their human colleagues.